Villa Dell offers simple and yet sophisticated design with a view over the placid waters between Mont Jean and Grand Cul de Sac. Just off the road leading east from the village of Lorient toward the island's windward side, this home is convenient to a bakery, restaurants and shops and is just a short walk from the beach at Marigot. A hardwood covered terrace and open sun deck stretches the length of the villa, and a generously sized plunge pool makes this a great place to retreat after an afternoon at Saline. The living room and two bedrooms open directly onto the terrace, pool and view via large sliding-glass doors, and the small but efficient kitchen is perfect for creating simple meals to serve at the outdoor dining table under the stars. Each bedroom provides air-conditioned comfort and a private, ensuite bath with a large shower, as well as plentiful closet space and a dressing area. The furnishings and design touches throughout are selected from the collection of Christian Liaigre. 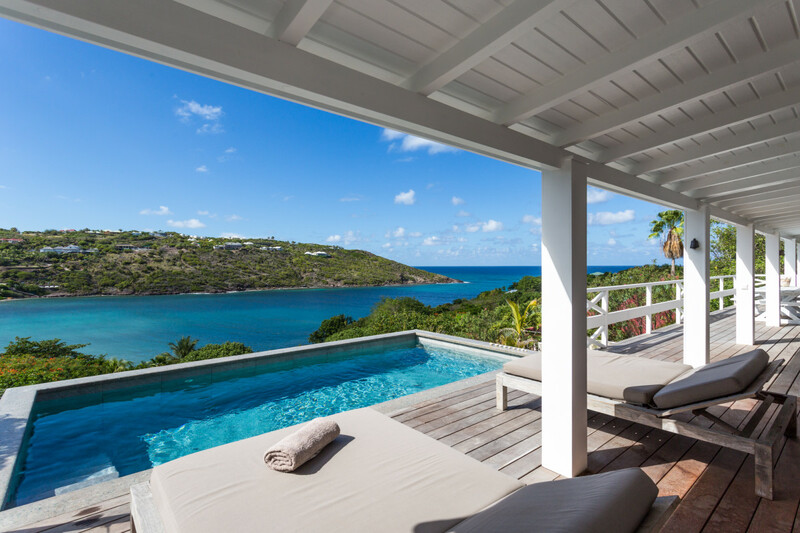 Marigot Bay may be rented in conjunction with its sister-villa, Icahn, to create a four-bedroom compound ideal for families or for friends vacationing together. The drive up to the villas is steep, so a 4WD vehicle is recommended.